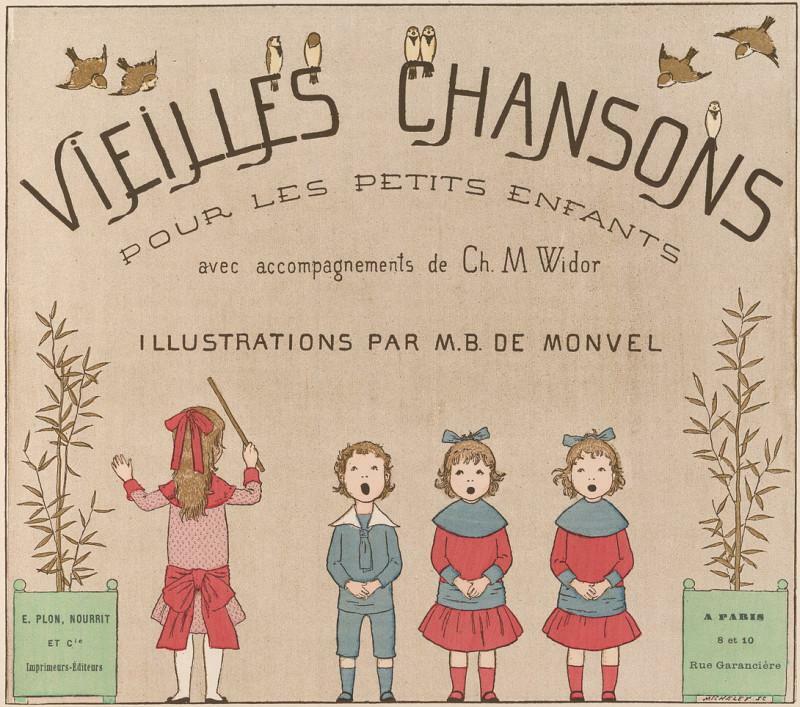 There is no way on earth I would let a child near this beautiful 56 page book: 'Vieilles Chansons et Ronds pour les Petits Enfants' (the book title and the title page are a little different) - a children's songbook by Charles-Marie Widor with just gorgeous illustrations by Maurice Boutet de Monvel. It is dated sometime between 1910-1920 and is online with high resolution images at the Library of Congress. The printing quality is particularly excellent. 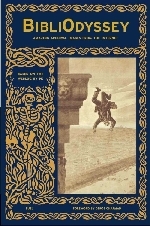 There are 2 other books online illustrated by de Monvel -- 'La Civilité (Puérile et Honnête)' and 'Joan of Arc' -- at childrensbooksonline. Les illustrations sont très jolies. Great find Paul! 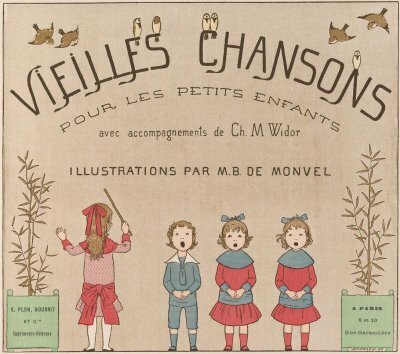 I have a similar book with illustrations by the same artist called "Chansons de France pour les petits français" It is a lovely book, given to me when I was child by a dear family friend. So nice to see something similar in your blog! I came across that book on ebay pod lady. The image quality doesn't compare to Library of Congress of course but it's a very similar style. I think I saw reference to about 5 other books by de Monvel - fables and the like. 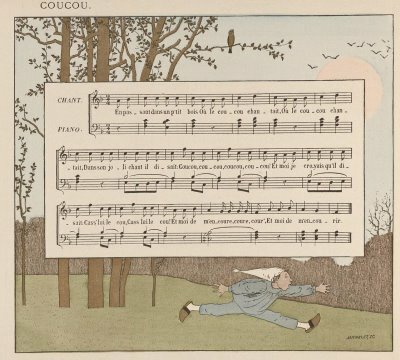 I was actually blown away by the print quality of 'Vieilles Chansons': I've never seen that sort of texture (helped of course by the high res.) Outstanding and unique in my ignorant opinion. They're so beautiful! 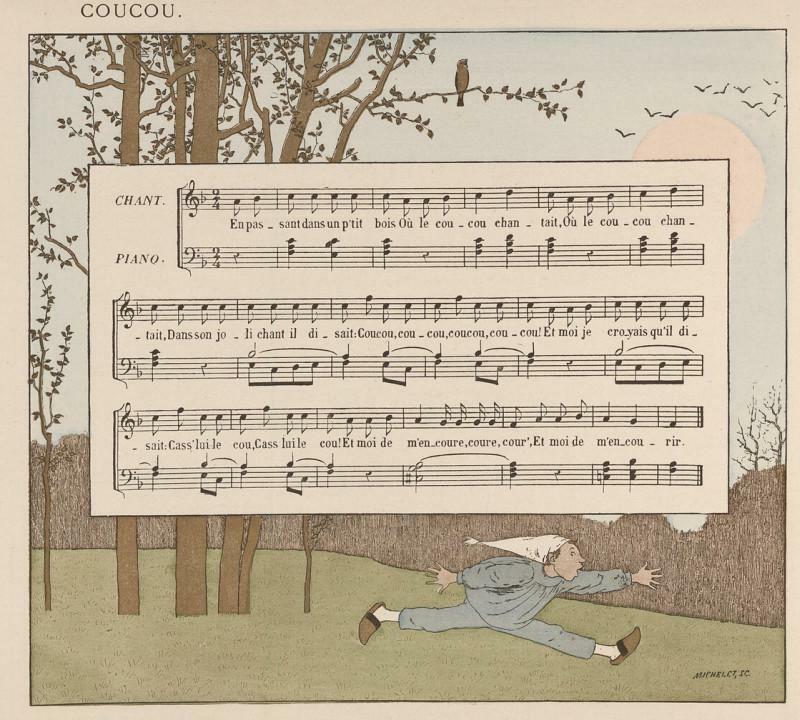 I've also seen a few of these illustrations in Corbis (but not looking as good.) Try doing a search in that site with the name Sarah Stilwell Weber, they have 3 charming illustrations there I've never seen anywhere else. Thanks Pita! I should have known Fulltable would have his work. Fulltable.com has my version of the book. Glad to see one of my treasures featured on the web.